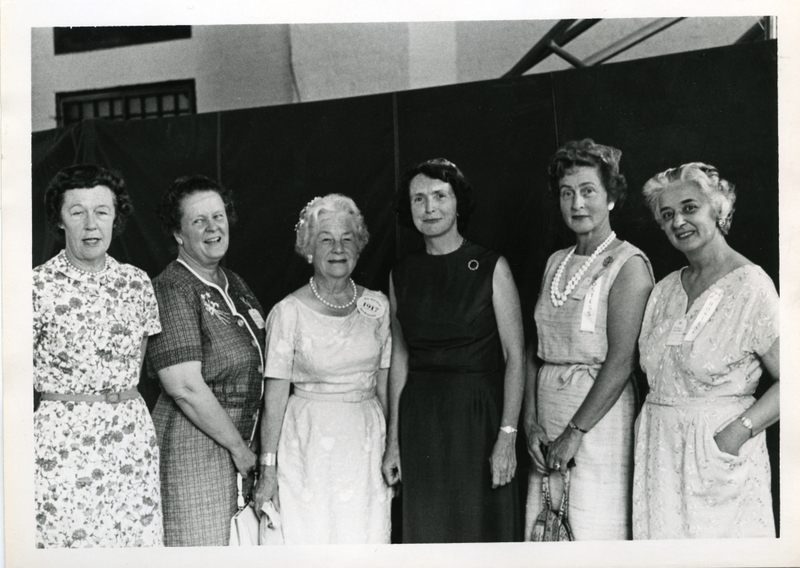 Group portrait of the officers of the Society of Bowdoin Women at the Commencement of 1962. Left to right: Treausurer Mrs. Barret C. Nichols, V.P. at large Mrs. Philip S. Wilder, President Mrs. Boyd W. Bartlett, Honorary President Mrs. James S. Coles, Vice President Mrs. F. Webster Browne, Secretary Mrs. Samuel A. Ladd.